« Is artie Nuts? Why Would He Spend $11,499 (plus 7% sales tax and shipping) On a Lens He Has Preached Against for More Than Two Decades? 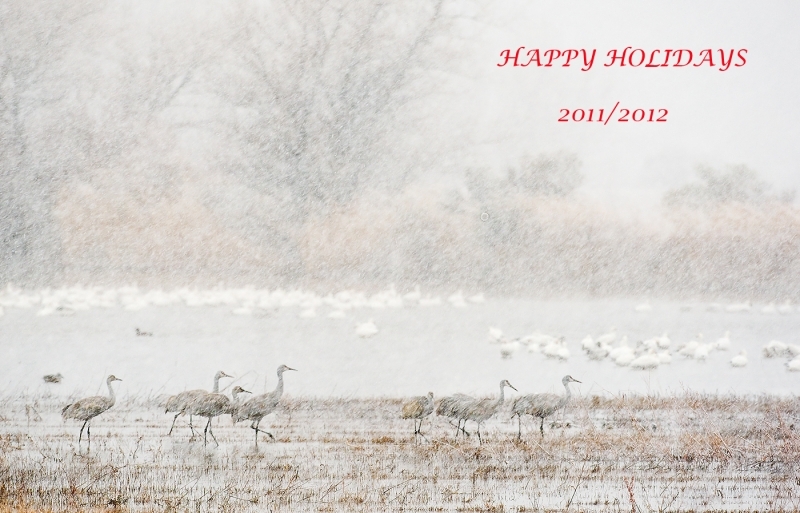 Jim, Jennifer, Peter Kes, and I would like to send each and every one of you best wishes for a joyous holiday season and a wonderful, productive, rewarding, and healthy 2012 filled with great photographic opportunities and wonderful travels. Jennifer will not be back to work until 2012! Jim will be here Monday through Thursday this week (DEC 26-29). He will, however, be out of the office on Wednesday, DEC 28 from 1-4pm and all day on Friday; please leave a phone message and we will get back to you on January 2, 2012. Please note that as I will be on a Falklands, South Georgia, Antarctica cruise from DEC 28, 2011 through JAN 26, 2012 without internet access except possibly for a day or two at the beginning and/or the end of the trip. Then I am home for a bit spending a week on the road for the sold-out SW FLA IPT. The I disappear again for a month-long (17 FEB to 13 MAR) trip to Japan. (There is lots of room there if you would like to join us.) Jim will be here to help you with your mail order and other needs and Jennifer as always will be handling the IPT registrations; do note that the Morro Bay IPT is now half full. I simply will be unable to respond to questions in my usual timely fashion until at least mid-March so please hold off with your photography questions till then. You can learn the answers to practically of your questions in ABP, ABPII, and Digital Basics. In addition, there is a killer-good search feature on the blog, the little white box in the upper right of the blog pages. It will lead you to information both on the blog and in the Bulletins. At all times we ask that you try to find the answers to your questions either in the books or on-line before e-mailing. That said I look forward to receiving your fresh, new questions via e-mail this spring. Despite my absence on the Southern Oceans trip blog folks will scarcely notice my absence as Peter Kes will be posting lots of great stuff for me about every other day. (I have been working hard preparing posts in advance.) I will not, of course, be able to respond to your comments until I get back. One final note, it is getting closer to the time for everyone to enter the BRIDS AS ART 1st International Bird Photography Competition; the deadline is March 31, 2012. Right now, many of the $20,000+ worth of prizes are pretty much unclaimed and there are many empty categories…. The entry fee is only $25 for ten images or see more immediately below. A belated best wishes Artie. :¬) My mum has no internet connection. Hey, hug a penguin for me! They are my favourite family of birds. I expected we would see some new images from Point Lookout and the Hamptons while you were up on LI. Hope you had a good holiday visit. Happy Holidays to you too Arthur. Have a great trip! Same to you and your loved ones and friends Artie!! Good picture taking in Antartica…and especially, have fun! The best of the seasons greetings to you and the team, looking forward to 2012. Hope you had a wonderful Christmas! I was so thrilled that I received your book as a Christmas gift – “The Art of Bird Photography”! I’ve had it on my want list a long time. Will enjoy every page of advice and photos! All the best to you and yours Artie!! Nancy and I will be in Florida this April. Perhaps we’ll run into each other then. Art, Happy Holidays to you and your family…I hope this note finds you well, surrounded by family and friends, and with a full heart. I haven’t been on BPN much recently…school just hasn’t allowed time for shooting…but hope to become active there again soon. It’s a great site and I’ve learned a lot from the people there. Best to you, the family and crew in the new year. Enjoy the travels! Happy Holidays to you Jennifer, Jim and Peter. Season’s Greetings and safe travels. Best to you and yours for 2012. Have a great trip to Antarctica, Artie. South Georgia is amazing! Nancy and I were to be on this trip but she somewhat unexpectedly had to have bilateral knee replacements a few weeks ago. Happy Holidays! Seasons greetings and A Happy and Healthy New year to you Art. Thank you for all your efforts to bring the beauty of nature to all of us! Have a great time and create many a great image. Happy holidays from me and Nancy.